This book springs from the compilation of papers and posters presented in 2013 and 2014 at the 2nd and 3rd Enardas Colloquia, entitled ‘Living Places, Experienced Places’. The first part, in two chapters, is entitled 'Concepts and tools to study rock art'. 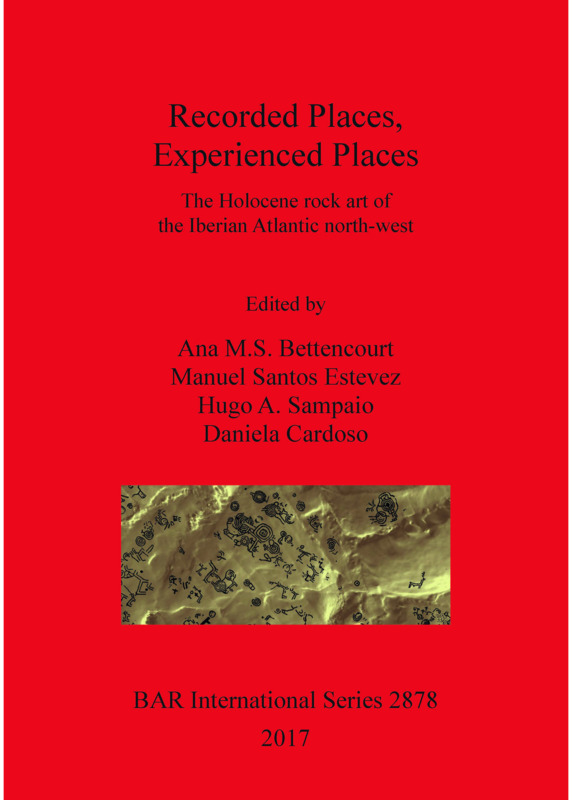 The second part, ‘From sub-naturalistic to Schematic rock art tradition’, discusses various expressions of recorded art in the hinterland area of northwest Iberia, as well as expressions of the schematic art tradition from north-central Portugal. The third part, ‘Atlantic tradition rock art’ comprises four chapters. The fourth part, ‘Other styles’, includes five chapters focusing on depictions that the book editors consider distinct from the best-known regional styles. Ana M. S. Bettencourt is Professor of Archaeology at University of Minho, Braga, Portugal. Her main research interests are burial contexts and practices; rock art; metal depositions and archaeology and tourism, on which subjects she has led several research projects and published numerous books and articles. Manuel Santos-Estévez obtained a PhD in History in 2004 at the University of Santiago de Compostela. His main research focuses on rock art, sculpture and landscape archaeology. Since 2014 he has been a post-doctoral researcher at the Fundação para a Ciência e a Tecnologia (FCT) at the University of Minho. He has directed 50 archaeological projects, and has published a number of papers in international reviews. Hugo Aluai Sampaio holds a PhD in Settlement and Landscape Archaeology and works in the School of Management at the Polytechnic Institute of Cávado and Ave, in Portugal. His research is dedicated to the Bronze Age, focusing on issues related to metallurgy and deposition of metallic objects, funerary practices and contexts, settlement and rock art. He also works in archaeology and cultural heritage. Daniela Cardoso obtained a PhD in rock art in 2015, at the University of Trás-os-Montes and Alto Douro, Portugal. She works at the Sociedade Martins Sarmento in Guimarães, Portugal, where she participates on projects related to rock art and to rock art and tourism.